The kind of microscope an individual chooses to purchase can determine the level of success enjoyed from their endeavors. Thus it is crucial that consumers make the right choice during this activity. The first issue that should be factored into the equation when dealing with the options available is the primary purpose of the product being purchased. Individuals who are getting these items for commercial purposes, for example, will need a high speed microscope camera as it is mainly used for quality control in industrial environments and can be considered a waste of money if applied to more straightforward activities. It should also be noted that different models are designed with various capabilities based on the particular use it has been created for, and thus applying it to a different goal could affect the quality of the results experienced. Another issue that not many people consider is the size of the subject intended using a particular option. There are two main alternatives available when it comes to this decision, with the more popular compound microscope allowing for the study of smaller objects such as liquid samples and microorganisms. Stereo microscopes, on the other hand, allow for more working space between the object and the lenses, thus enabling larger items such as insects, parts of machinery, and rock samples to be observed. Individuals who want to study an item under enhanced magnification and take notes can apply a compound microscope to their needs, as this is the primary purpose of that particular alternative. Scientists who would like to carry out certain activities such as the dissection of different parts, however, will require a stereo model due to the space needed for such applications. Industrial models such as a high speed microscope camera can be used to capture permanent images of a subject, as they are designed to transfer these depictions onto a monitor for further observation. 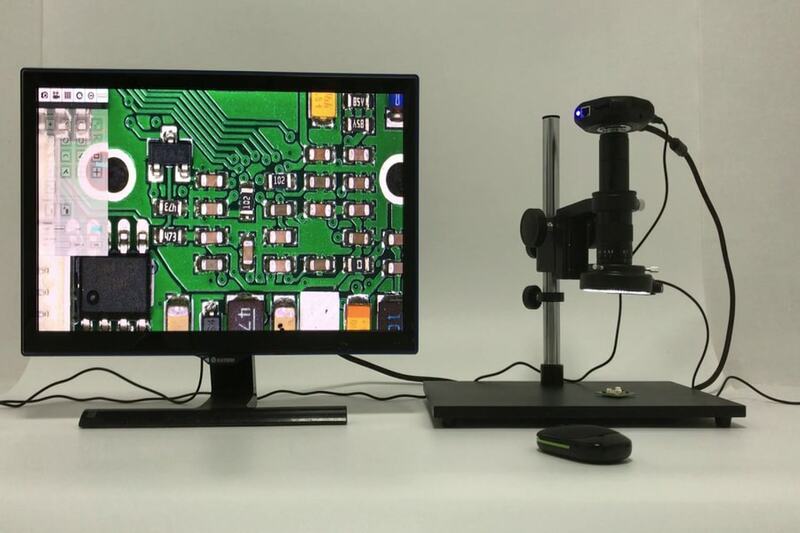 The optical quality that can be enjoyed from a specific microscope will determine the standard of magnification that can be applied by the user. Products from a lower price range in most cases do not have the quality needed to obtain levels of up to X400, and thus cannot be utilized for official scientific purposes in the world of research. Some versions claim to have these capabilities when in truth the options available cannot function efficiently and are only present for the sake of appearances. Most quality microscopes feature two kinds of focusing levels, namely, coarse and fine focus options for low and high ranging magnifications respectively. Models with only one focusing mechanism make it harder for individuals to use higher magnification levels and can be considered as a sign of low quality.